With Bank Holiday weekend bringing the sun and National Barbecue Week taking place from the 30th May – 5th June, the barbecue tongs are out in full force. But nobody wants to be that person that hosts a barbecue with mediocre beer. We’ve got you covered, with our definitive guide to which beers you need to pair with proper barbecue grub. Barbecue season has arrived and as many look to impress in the garden this year, it is so important to have the right beer for the occasion. 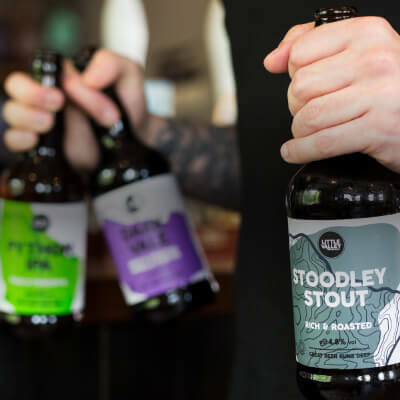 Taking into account taste notes and flavours of the beer, then matching these with the flavours of each dish, will make your BBQ go from ordinary to extraordinary! No BBQ is complete without the classic burger. To level up this barbecue staple, pair it with a rich porter such as our Vanilla Porter. 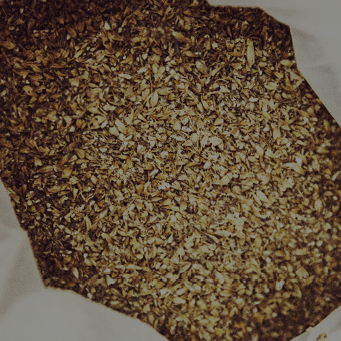 The roast malt flavour will create the perfect BBQ blend. For chicken, you need to go for something lighter like your favourite pale ale or IPA. If you’re adding a bit of spice to your chicken, consider different flavours, such as our Ginger Pale Ale, which holds its own against a variety of spicy dishes. If you’re being a bit flash and serving steak, match this with a robust stout, like our Stoodley Stout, or a nicely balanced bitter, like Cragg Vale Bitter. This will contrast well with the rich flavours from the steak, making for a really interesting combination. 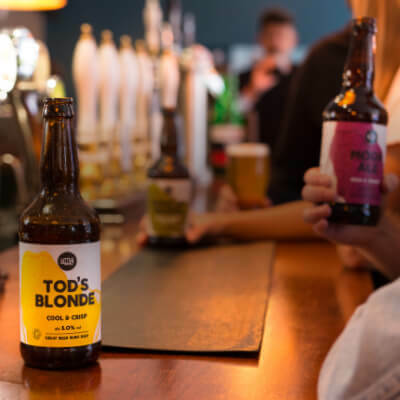 For those partygoers opting for salad or pasta dishes, you need to be ready with a crisp blonde beer. Go for a blonde that is relatively malty with a bit of bitterness for the best results. In fact, we’d definitely recommend our Tod’s Blonde for this one.